Any time you buy a new car in California, there are a variety of options for tax deductions and incentives to help you save. If you have any questions about tax benefits when buying a car in Greater Los Angeles, you'll find that the team at the McKenna European Auto Center is always happy to speak with you. Whether you're interested in financing a new Porsche sports car or purchasing a new Volkswagen SUV, you'll get all the tax incentive information you need when you choose our car dealerships near Los Angeles, CA! Is My Car Registration Deductible in California? If you're preparing your tax portfolio or want to learn more about what can be deducted, the team at the McKenna European Auto Center has all the answers you need. When filing your taxes, you may be able to partially deduct car registration fees, but only under certain circumstances. In general, the portion of the registration fee that is based on the vehicle's value can be deducted as long as the fee occurs annually and you itemize the deductions rather than use the standard deduction. For your tax filing purposes in California, the value-based portion is identified on your billing statement as a "vehicle license fee" and is marked as tax-deductible. You will mark this deduction under "personal property taxes." Do you have more questions about what vehicle fees can be tax-deductible? Want to know where exactly in your taxes to put this claim? 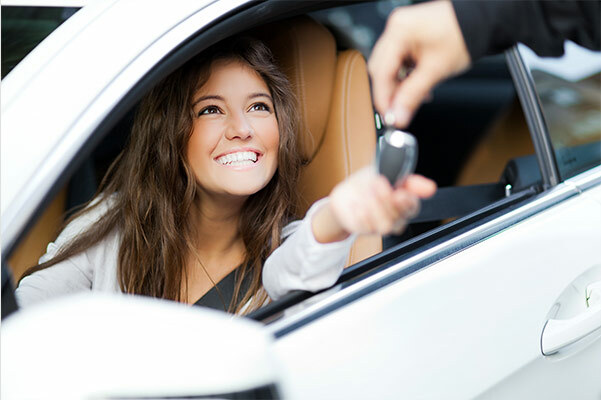 Contact McKenna European Auto Center or visit your nearby McKenna dealership in Greater Los Angeles to speak with our auto financing experts about your vehicle license fee. We'll help you get all the information you need to maximize your tax deductions when you file your claim!